I absolutely love portrait work. But every now and then I need to do something to get my fix outside of the usual. Once in awhile, it's nice to slow down your work, not have a deadline, and work something over. 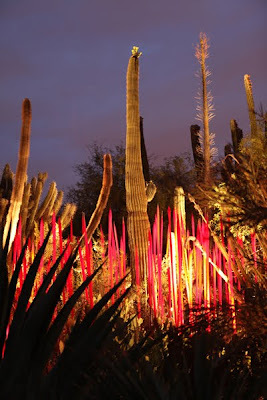 Peter Ensenberger and Jeff Kida of Arizona Highways Magazine headed up a night at the Desert Botanical Gardens photographing the one of a kind glass installations of Dale Chihuly. 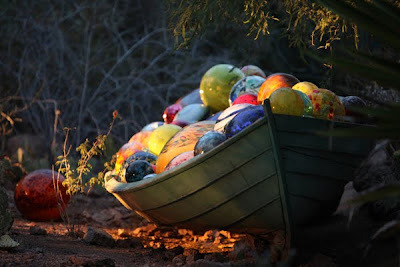 Dale Chihuly is world renowned for his pieces. We went in at sunset and had the park to ourselves after closing. 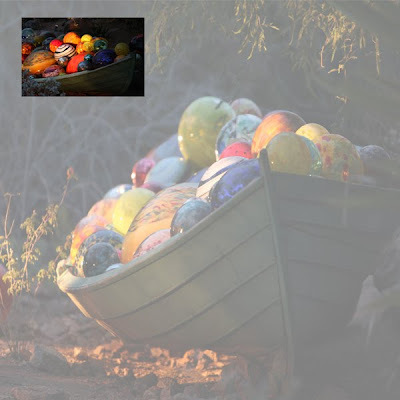 Shooting at the Gardens, late and empty, lent itself almost a reverenced feeling. Typically in work of this kind, I tend to be a purest and like to leave well enough alone. I rarely do much if anything to the image. So, straight from my camera, bypassing the editing table, the following two images are my favorites from that night. Okay, I lied... I played with one.